Gorgeous record with some real gems on here. I wish more deep house were this detailed and musical. Charles Webster - under the guise of "Presence" has created an album for the head and heart, the songs strike chords of deep emotion that never lose direction or substance. Just lay back and enjoy a musical journey of melodic moods, and sublime deep house. 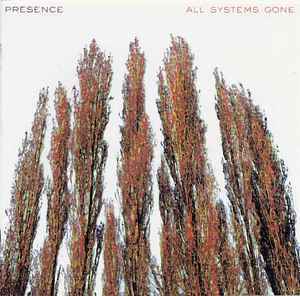 All Systems Gone includes the vocal talents of Steve Edwards,Shara Nelson,and Sara Jay which shine through and complete the unique sound of Presence.